As outlined in previous chapters of this book, the victim of a dog bite or the family of a dog bite victim has a legal right in the state of Ohio to recover compensation for their injuries and damages. Given this right, the insurance company for the dog’s owner, harborer or keeper may be legally obligated to compensate the victim. Based on the above, an insurance company may go to great lengths in an attempt to either deny the claim or minimize the amount of compensation it does pay. The insurance company is not on your side nor are they looking out for your best interests. They will take the necessary actions to benefit themselves. They will have professionals acting on their behalf who have years of experience handling dog bite claims and minimizing an insurance company’s pay-out. You should have a professional representing you as well. Does Every Dog Bite Case Require a Lawyer? No, not every dog bite or dog attack incident requires the assistance of a lawyer. A lawyer will usually speak to you about your dog bite case at no cost to you whatsoever. This is commonly referred to as a FREE CONSULTATION. Based on that free consultation, a reputable attorney will provide you with direct feedback on whether or not you have a claim and if you can handle the claim yourself. The details of every case are different and you simply don’t know if an attorney will help you unless you speak to one. 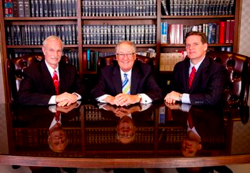 If the attorney offers a free consultation, you’ve got nothing to lose and everything to gain! When is an Attorney Most Effective for a Dog Bite Case? Generally speaking, an attorney can be very useful when a serious injury has occurred with a dog bite or when a child has become the victim of a dog attack. What constitutes a “serious injury”? That all depends on the specifics of a case too and it’s another reason a free consultation with an experienced dog bite attorney will help you tremendously. Serious injuries can be very obvious or a serious injury may seem insignificant today but in reality the injury causes long term care for which you need to be prepared. When it comes to dog attacks on children, the assistance of an experienced dog bite attorney can be particularly valuable. The complexity of a dog bite case involving a child increases substantially. In addition, a child’s future may change dramatically as a result of a dog attack and he or she needs to be ready for the realities of that future. Conduct a free initial consultation and answer all questions. Explain the dog bite claim process in detail. Explain Ohio laws regarding dog bites. Prepare and file all necessary and required documents for the dog bite claim and lawsuit. Perform an investigation of the dog bite claim. Including interviewing witnesses, assembling all incident reports, medical reports and other necessary evidence and records to support the dog bite claim. Engage professional experts to assist in investigations, evaluations and the preparation of reports. Obtain and analyze insurance policies to see what coverage is available to pay for all injuries and damages. Analyze all laws and cases pertinent to a client’s dog bite claim. Contact the dog owner’s, harborer’s or keeper’s insurance company about the claim and discuss fair and reasonable alternatives for settlement. Conduct negotiations with the insurance company to obtain a fair and reasonable settlement prior to a trial. Prepare all requests for the production of information from the defendant. Prepare and file briefs and motions as necessary. Represent client at all hearings and trials. Answer all client questions and communicate with the client at all times. As you can see, the time and effort to handle a dog bite claim is extensive. If you are not familiar with Ohio law, trial procedures, legal document preparation, interacting with other lawyers and negotiating with large insurance companies, your dog bite case can quickly become overwhelming and highly stressful. Understandably, many people are reluctant to speak with or hire an attorney because of the perceived cost. They simple cannot afford to write checks for thousands of dollars each month waiting for a settlement or a verdict in their dog bite case. Fortunately, there is an arrangement where you can utilize the experience and knowledge of an experienced dog bite attorney without needing to pay monthly legal fees while your dog bite claim is being pursued. Our law firm, like many others, represents dog bite clients on what is known as a contingency fee basis. With a contingency fee agreement, a lawyer will defer his or her fee until the case is successfully resolved and finalized. The fee is based on a percentage of the settlement or verdict obtained in the dog bite case. If no settlement is received or nor amount is awarded in a verdict, there will be no fee to the attorney. Contingency fees allow people to hire the best legal representation possible without the risk of losing thousands and thousands of dollars. This also helps a victim of a dog bite level the playing field. As mentioned throughout this book, the insurance company employs a team of professionals looking out for its best interest in an effort to try and deny or minimize your claim. A contingency fee arrangement allows you to employ your own legal professionals that will fight for you and protect your interests. The costs associated with a dog bite claim are different than the contingency fee. Costs associated with a dog bite claim include, but are not limited to, such things as expenses incurred while investigating a claim and prosecuting in the court system. Examples of these costs may include court costs, deposition fees, expert witness fees and record retrieval expenses. In the state of Ohio, a lawyer is allowed to advance these costs on behalf of the client and then recover the costs by deducting them from the compensation a client receives at the conclusion of the case. There is no reason for you not to at least speak with an experienced dog bite lawyer if you or a loved one has become the victim of a dog bite. There is no rush to hire an attorney and a simple conversation with a dog bite lawyer may give you a much better understanding of how to proceed with your dog bite claim. A fear of the unknown prevents a lot of people from moving forward and getting themselves out of problematic situations. 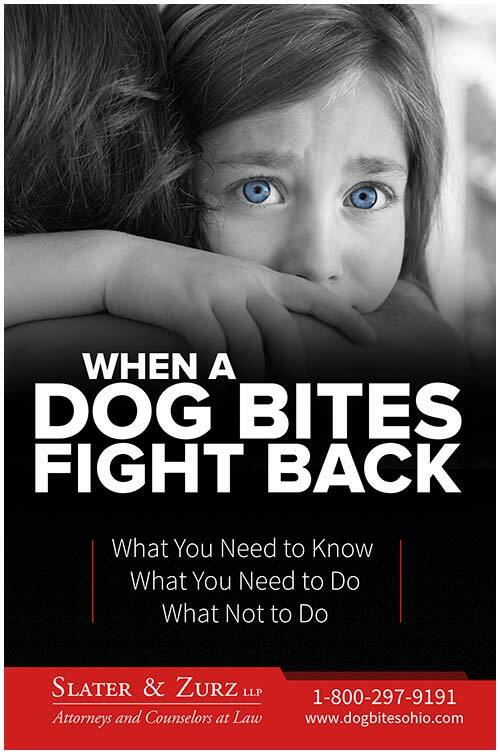 We sincerely hope this book has given you a basic understanding of the rights as a dog bite victim under Ohio law and a general direction of how to proceed in an effort to fight back and take control of the situation. If you would like to talk to us about your dog bite case, we invite and welcome your call. We can be reached at 1-888-998-9101, or click on the chat box in the bottom right corner of your screen.